This is the fifth release of Flaming Heart from Compass Box, and it coincides with the company’s fifteen-year anniversary. Any of my readers know that I have deep respect for John Glaser and for Compass Box, and anyone who has been following the “whisky news” lately knows that John got in some trouble for this release (along with “This is Not a Luxury Whisky”, review upcoming). Apparently posting detailed recipe information, including ages of components, on your website and in marketing materials violates the EU liquor labeling laws regarding age. 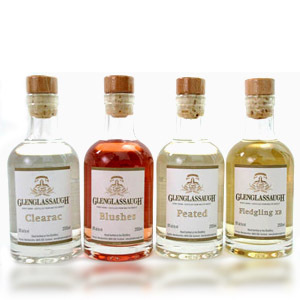 As you might know, any bottle with an age on it must represent the youngest whisky in that bottle – a blend of 7-year, 16-year, and 40-year whiskies that wants to print an age on the bottle must print “7 years” and nothing else. While this is a good law that protects whisky buyers from unscrupulous labeling practices, it’s being used by the SWA (Scotch Whisky Association) to once again rap the knuckles of one of the most innovative whiskymakers in the world. I’m very much in favor of transparency in the whisky industry. I think it is not only laudable for a company to post detailed component information on its website, I think it should be common practice. The idea that the SWA would throttle the publishing (and not on the bottle!) of such useful information is disappointing, and in my opinion is a step backwards for the industry. So although Compass Box cannot post this information on their website, nothing is stopping me from doing it! I eat this kind of info up. The result is bottled at 48.9% ABV without chill-filtration or added coloring. This edition was bottled in August of 2015. The goal of Flaming Heart has always been to showcase Compass Box’s hybrid barrels with new French oak heads in balance with quality Islay peated malts. This 15th anniversary edition kicks up that formula with some older Caol Ila. This kicking up also comes with a larger price-tag than previous editions: around $140. Nose: Clear, crisp lemony peat. Oily, tart, and waxy. After a rest in the glass, there might be a hint of menthol. Palate: Wow. Meaty/chewy, with lemon rind, tart lemon meringue pie. Nearly sparkles on the tongue. 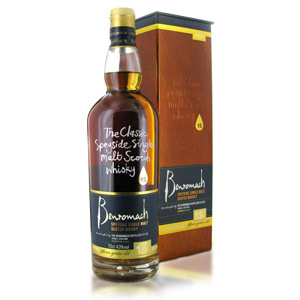 Elegantly smoky, with refined clean-burning peat smoke and sea breeze. Finish: Medium-long. Lemon continues, with roasted chestnuts and spent campfire. Fades with very little bitterness. With Water: A little water enhances the waxy “crayon” aroma which is uniquely Clynelish. It also brings out a little coconut and mutes the smoke on the nose. The palate and finish seem unchanged. A little water is advisable, but try it without first. 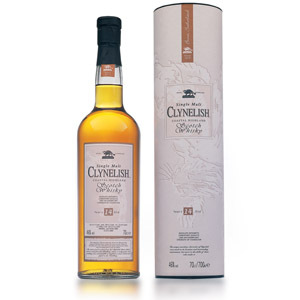 Overall: A majestic whisky, with elegance, freshness, and complexity all given equal share. The crisp, tart lemon flavors pervade the experience, and perfectly counterpoint the restrained-but-evident nature of the peat smoke. The peat is pristine, with no muddiness, bitterness or off-flavors, and the entirety is well-balanced from start to finish. This is one of those rare whiskies that makes you say “Wow” out loud when given a whiff, and never contradicts that first impression. Well done, sir. This would be a “Must Have” for any Compass Box fans (or fans of subtle, well-executed peat) who won’t faint at the $140 price tag. For everyone else, it’s a “Must Try” from one of the bottles of your nearest Compass Box fan. Hi, thanks for the review, just curious have you had a chance to look at the 2012 4th edition? I was looking around in my local store and saw it for 80 bucks, it’s little pricy for my usual range of 40-55, so was curious. Also I loved the artists blend, it’s really good and I wish I brought few more when I could find them. Thanks for the wonderful work. 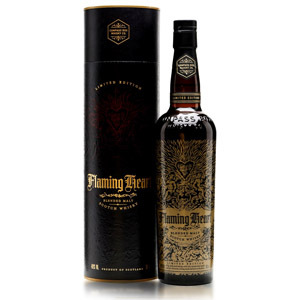 I never tried the 2014 Flaming Heart, but I’ve heard that it was worth the money – Flaming Heart and Hedonism tend to be peoples’ “favorite” Compass Box releases. 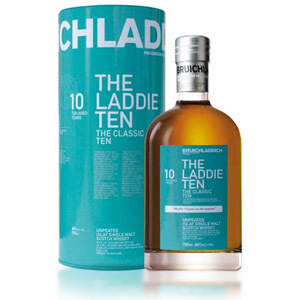 I found a bottle for $99 ($118 with shipping) so went for it (probably the only time in my life ill ever taste any bit of 30 yr old Caol Ila) based on your review…and you are spot on with this one. It’s substantial. Great add-in about posting its components. Jon Glasser is the Roger Waters of the whisky world for sure. What happened….to the post NAS dream? Lol. I just picked up this bad boy for $105 in Hartford, CT (there is one more bottle sitting on the shelf!). Can’t wait to open it. Nathan, thanks to your extensive and informative review, I strayed from my usual barrel proof bourbon beasts to try this, and I’m glad I did! Just a lovely, elegant whiskey and a beautiful introduction to a masterful blender of scotch. He’s the Jim Rutledge of malt whiskey. Many thanks for the excellent guidance!